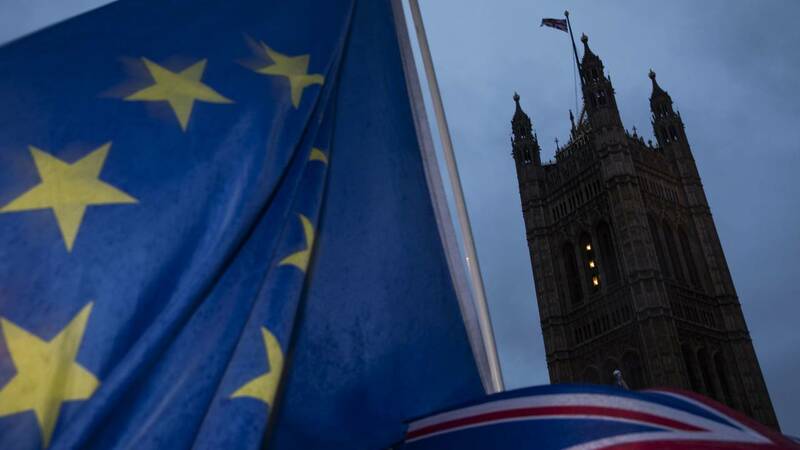 (CNN) - There were audible gasps in the UK Parliament on Monday night as lawmakers voted to seize control of the Brexit process from embattled Prime Minister Theresa May -- the first time in over a century that MPs have taken over the parliamentary timetable from the government. It was a pivotal moment in what has already been a rollercoaster few weeks in the Brexit process, dealing what could well be the final blow to May's premiership and paving the way for a Brexit lawmakers can at last agree on. Here's a look at what happens next. What did lawmakers vote for? MPs voted 329 to 302 in favor of an amendment giving them control of Parliament's agenda on Wednesday and clearing the way for a series of votes on alternatives to May's widely criticized plan for the split with the European Union. The amendment was put forward by Conservative MP Oliver Letwin, a member of May's own party, and was supported by the Labour MP Hilary Benn. The government opposed it, but 30 Conservative lawmakers defied the party line to vote in favor of the amendment. Three government ministers resigned to support it. On Wednesday lawmakers will vote in a series of so-called indicative votes -- which, as the name suggests, are non-binding -- on several Brexit options. These could include remaining in a customs union with the EU, negotiating some sort of relationship with the single market free trade area, holding a second referendum or revoking the whole process and starting again. This is uncharted territory. Letwin and his supporters will spend Tuesday working on the nitty-gritty of how Wednesday's votes will actually work. Letwin is the Conservative MP for West Dorset, and voted Remain in the 2016 referendum. He is a veteran parliamentarian and known as something of a political fixer. He was an aide to former Prime Minister Margaret Thatcher, and was a government minister under David Cameron. Under Cameron's premiership, he helped maintain the relationship with the Conservatives' then coalition partners, the Liberal Democrats. He wrote the party's 2010 election manifesto -- its program for government. The HuffPost website on Tuesday said that Letwin had found himself cast in the unlikely role of leading a parliamentary rebellion because he feared May was leading the UK towards a no-deal Brexit, which he felt would be catastrophic. "As he pointed out himself, he had never voted once against his party in 22 years, until the past few weeks," wrote HuffPost's Paul Waugh. "But just after Christmas, he realized with terror for the first time that the PM could indeed oversee a no-deal exit, either by accident or design." Last week the EU agreed to delay Brexit day -- slated for March 29 -- until May 22 on the condition that May's deal was passed. If not, the UK either crashes out of the EU without a deal on April 12 or must request a longer extension. That's politically problematic because the UK would have to take part in elections to the European Parliament on May 23. Many MPs are fed up with the government's failure to secure a deal that Parliament could support. May admitted herself in the House of Commons on Monday that there was little chance of her deal being passed. So MPs decided to take control of the process themselves. Does the government need to act on the outcome? In short, no. May is still hoping to pass her twice-rejected Brexit deal and has indicated it will be difficult for her to go back to the EU with a different plan. May said on Monday that she could not "commit the government to delivering the outcome of any votes held by this House. But I do commit to engaging constructively with this process." That said, rebel MPs could still pass a bill forcing her hand -- though constitutionally it would be very difficult. More likely is that the Prime Minister would bow to political pressure. Though that's assuming there's a majority support for one of the Brexit options at all.